One of the most rewarding things design leaders can do is mentor a young designer. I work at CareerFoundry, an online platform that offers mentored courses in UX design, UI design and web development. We’ve found that students are more galvanized into action when they have a mentor-figure answering their questions within 48 hours. We’re not alone in this discovery. More and more online schools and institutions have recognized the need to provide a friendly face to keep their students motivated, on track, and using best practices. 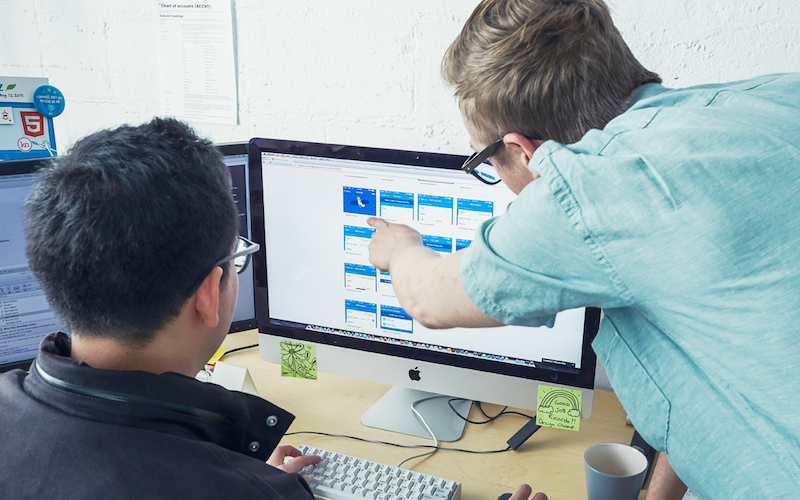 So, what does it take to be a great design mentor? Let’s take a look. A good mentor acknowledges that at some stage everybody is a beginner —nobody was born into the role they currently have. People learn skills over time, with hard work and often under the guidance of someone who’s been there before. What inspires many mentors to help others: the experience of having had a mentor themselves who spurred them on to greatness. Knowing how much of a difference this made to their own career progression, they wish to motivate a beginner in their field. Some mentors reference more specific personal motivations, such as where family trades have been lost due to skillsets not being handed down over the generations. The same is equally true of more modern-day skillsets. A good mentor wants to leave the gate open for those coming in behind and help them hone their skills to succeed in their chosen profession. Allowing a mentee to express themselves through their work or study means they’re significantly more likely to succeed. A good mentor enables this by establishing an experimental and creative environment for their mentee to work in so that ideas can flourish. When a mentor and student form a relationship of mutual inspiration, it means that quirky, out-of-the-box ideas abound for both parties. A good mentor pushes their mentee to think of their own ideas and get creative with what they already know. Here at CareerFoundry, for example, instead of following pre-set guidelines for creating a task-management app for a UX design course, mentors have pushed students to go bigger by creating innovative healthcare, festival, and not-for-profit apps. Some students have even redesigned their own previously unsuccessful websites with great success thanks to their mentors. Working alongside other experts in the field gives each mentor the chance to grow their list of useful contacts and further their own learning. 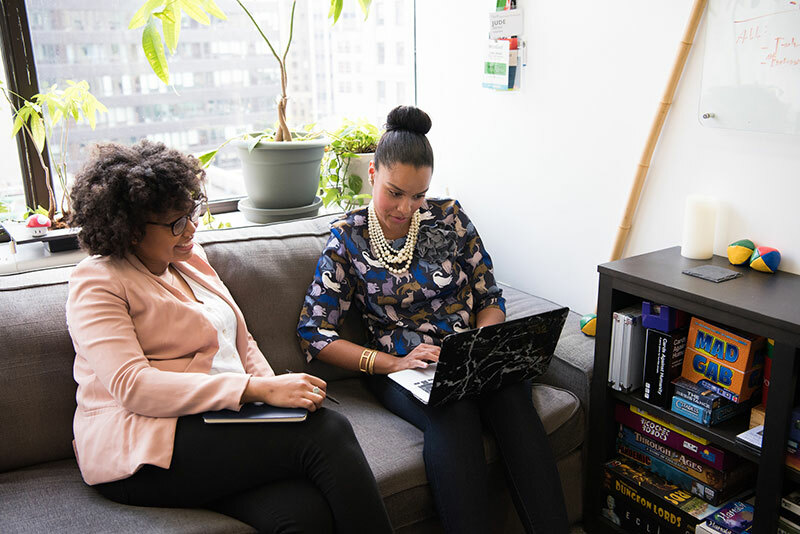 Connecting with other professionals can also be a great way of finding out about or exchanging useful resources, which can then be shared with mentees. Not only that, but a network of mentors can help one another do a better job of mentoring. They’re able to share stories about their mentees, learn from one another about how to deal with particular situations, and share learnings on how they encourage further engagement. And mentors who can recognize the value of asking others for help set a great example to their mentees, enabling the whole community to benefit. With the expense of formal and university education skyrocketing, many students are being priced out of an education that would lead to a successful career. Mentors often just want to help people like these get their foot on the first rung of the ladder. This career altruism demonstrates the compassionate nature mentors need to have. By constantly being asked how and why a piece of work was created, mentors learn to question their own explanations and the theories behind what they do. Mentors who are open-minded and willing to learn about how they can improve are the ones who truly flourish. Being a mentor makes you question how you can be the best at both mentoring and at being an expert in your field. Keeping up to date with an industry that’s constantly evolving means that the flexibility to question yourself and admit that you’re also always learning, even from your students, is of the utmost importance. These tips all point to individuals who are skilled communicators and able to use their knowledge to empower others, whether they’re fellow mentors or students beginning their career journeys. Header photo by #WOCinTech Chat. Anne Higgins is a Mentor Advisor for CareerFoundry, an online platform for tech skills based in Berlin. Anne is responsible for hiring and advising mentors in the fields of UX and UI. She also writes bi-monthly blogposts highlighting the most inspirational mentors in the tech industry.